Indian vegetarian meals. Proceeds support improving the lives of rural poor and applying appropriate modern technology, renewable energy, and local capacity building. 2019 Menu: Chicken Tandoori Masala , Vegetable Korma curry , Chana (garbanzo bean) Masala. Samosa, Basmati Tumeric Rice, Naan (flat bread), chutneys (tamrind, cilantro & mint sauce), Raita (Veggies in Yogurt); Mango Lassi and cold chai. AHT Wisconsin Windows is a custom window and door company that carries the only solid-core-composite, triple-pane windows in Wisconsin. Give us a call for your free customized window and door estimate. Airhead is the most compact and efficient composting toilet ever made. Our innovative diverting system was the 1st of its kind allowing composting toilet benefits in small spaces such as tiny houses, RV’s , boats, and off grid. Alice’s Rabbit Whole’s Amazing Hand Crafted Herbal Products! Organic & Wild-Crafted from the backyard, local sourced or sourced from a reputable herb company. Over 40 years of play, study & creativity. Saint Paul, MN based full service solar installer, dedicated to making the transition to solar easy and economical. 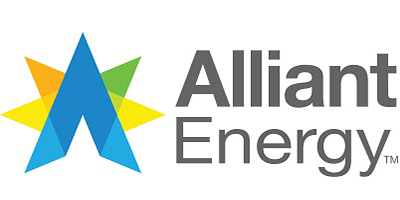 Alliant Energy proudly serves over one million customers in WI and IA. We work with our customers to develop innovative energy solutions. Our focus is to create a more sustainable future utilizing electrification and renewable energy. Allied Building Products’ solar division is a full-service national distributor of leading solar panels, inverters, mounting hardware, and solar accessories to solar contractors. We are a family owned professional design/build solar installer serving residential and commercial customers. With a NABCEP certified installer and master electrician on site throughout the process, we ensure your project is done right! 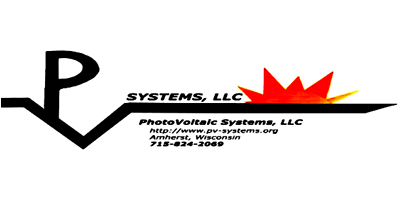 We are a family owned and operated solar electric installation company located in Appleton, WI. Created in 2008, we help homeowners and businesses in the Fox Valley become solar powered and charge their electric vehicles. Arch Electric is a vertically integrated company, meaning we handle your investment from initial contact all the way to after install support. When you work with us you don’t just get a solar project, you receive a solar experience. Using state-of-the-art technology and survey software, our design team is able to deliver a stunning layout with optimal performance. Arch’s internal solar specialists assist you with all the incentive paperwork, and our knowledgeable install teams can answer any of your questions. All you need to do is focus on what matters most, your savings and our environment! We are a family Permaculture farm that provides chemical-free, pure woolen comforters, mattress toppers, pillows, zabutons, and other woolen products. BBQ pulled pork sandwiches, ribeye sandwiches, burgers, taco fry bread, fresh cheese curds (Mullins), french fries, and dipped cheesecake. We produce Certified organic high oleic sunflower oil. All our seeds are grown on organic farms in Wisconsin & Minnesota. We do the processing which is cold pressed in our facility in Pulaski, WI. We work to persuade Congress to charge a carbon fee on all fossil fuels and return the money to all American households to encourage them to use clean, renewable energy. Citizens Utility Board of Wisconsin, Inc.
CUB advocates for reliable, affordable, and sound utility service, and provides public-interest legal services for residential and small business utility customers before the legislature, the PSC, and in court. 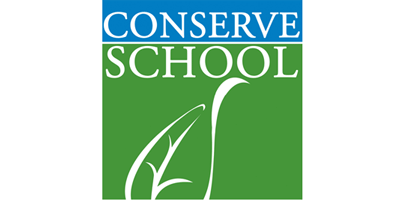 We are a semester school for high school juniors and advanced sophomores focused on environmental stewardship and outdoor education. Scholarships are offered to all qualified students interested in an experiential curriculum immersed in environmental history, nature literature, and the science of conservation, while still continuing their required academic studies. CUTCO has been proudly made in America since 1949. Products include kitchen cutlery, culinary tools, block sets, gift sets, kitchen gadgets, cookware, flatware, garden/BBQ tools, sporting/hunting knives, scissors, and accessories. 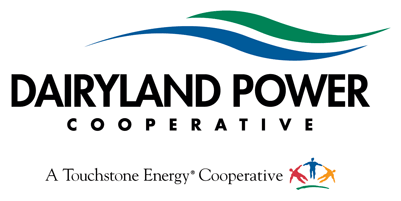 Dairyland Power Cooperative provides wholesale electricity to 24 member distribution cooperatives in four states (WI, MN, IA, IL). In turn, these Touchstone Energy Cooperatives meet the electricity needs of over 600,000 people. Dairyland’s renewable generation resources include solar, wind, hydro, and biogas. The Democratic Party of Wisconsin strives to build an open, just, and strong society where all people have equal rights and opportunities to live meaningful, secure lives. We work actively for an open, honest, and responsive government. We are a Michigan based company, who uses only USA components to produce our locally made products. 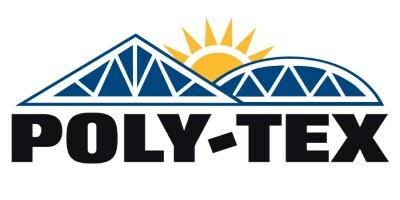 We specialize in high efficiency, MPPT Solar Charge Controllers, and we will be showcasing some new products this year. Eagle Point Solar founded in 2010 has an unwavering focus on quality, professionalism, and service. Our staff brings an unmatched level of expertise having completed over 450 system installations and thousands of consultations. Celebrating its 29th year as the nation’s largest pellet stove and pellet dealer! We specialize in freestanding pellet stoves, inserts, pellet furnaces, pellet grills, and 5 levels of quality replacement windows! Stop by our booths X4-6 and speak to one of our professionals! ECO FIRE BARs*100% Plant Based Fire Starters*1-Match Light*Safe*Toxin-Free*Clean for Camp-Cooking*Dependable*Sustainable & Recycled Products WI*Proudly receiving assistance by WI Wood Marketing Team & WI DNR’s Forest Products Service Team. With more than 800MW installed, Ecolibrium Solar® is a market leader, providing fast, simple solar racking for commercial and residential roofs. Industry-preferred EcoX Rail-less and EcoFoot Ballasted excel for speed and simplicity. Enercept has been manufacturing quality Structural Insulated Panels (SIPs) for over 30 years. Our SIPs are high-performance, fully customized, building panels. Enercept’s standard 6″ SIP wall has an R-24.87 value. 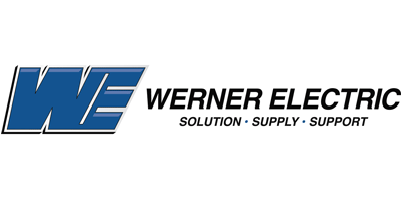 Based on our commitment to solar electric/PV since 1982, we start with your needs and objectives to utilize a disciplined design focused to carefully match components. We then design and install your system for exceptional performance. Home Energy Plus includes the Wisconsin Home Energy Assistance Program (WHEAP) and Weatherization Assistance Program (WAP). The local office is Energy Services of Portage County. WHEAP provides assistance for heating costs, electric costs, and energy crisis situations. WAP helps renters and homeowners reduce their energy consumption. Operating with federal and state funding, the programs provide energy assistance payments to over 200,000 households and weatherization services to over 6,000 households in Wisconsin each year. Evergreen Credit Union is a full service, environmentally responsible financial institution in Neenah, WI serving everyone who lives or works in Winnebago, Outagamie, Calumet, Waupaca, and Waushara counties. Whether you are looking to enhance your home’s curb appeal, improve its energy efficiency, or both, we will provide you with top-quality products. The mission of FFD is to support sustainable agriculture, farm worker rights, animal welfare, consumer safety, fair trade, and food sovereignty. FIRST ® (For Inspiration and Recognition of Science and Technology) inspires young people’s interest in robotics motivating them to pursue education and careers in STEM, while gaining self-confidence & valuable life skills. 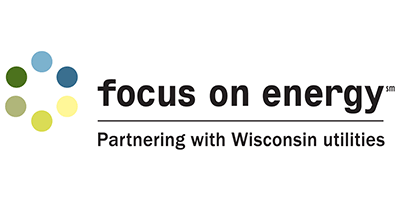 Focus on Energy is WI utilities’ statewide energy efficiency and renewable resource program. Since 2001, the program has worked with eligible WI residents and businesses to install cost-effective energy efficiency and renewable energy projects. We are a rolling refurbished clean-energy store with 240 sq. feet of shopping space and 12 vendors inside! We offer turn-key installation of solar electric systems for businesses, homeowners, public authorities, and community organizations. With over 50 years of combined experience, we can design and install solar electric systems of any size. We have five flavors of hand-dipped, natural, homemade ice cream with RBGH-free, locally sourced cream from Mauel’s Dairy in Owen, Wisconsin. We specialize and strive to build energy efficient, safe, and durable homes/additions, reducing our clients’ carbon footprint. Our certifications include Passive House Institute US and green building from the National Association of Home Builders. We are dealers for Crown Royal Stoves made in international Falls MN. Award best wood furnaces in 2018. The outdoor boiler burns 99% efficiently making the stove virtually smokeless. Halfpint Naturals is your environmentally-friendly outdoors companion. My potions & lotions use organic, wild harvested, or sustainably grown herbs and essential oils. 95% recyclable or reusable packaging! HybridCarStore.com has been exhibiting at the Fair since ’02. Our dedication to Advanced Fuel Vehicles has spanned all technologies and brands from “glorified” electric golf cars to the 2018 Green Car of the Year Award winner. 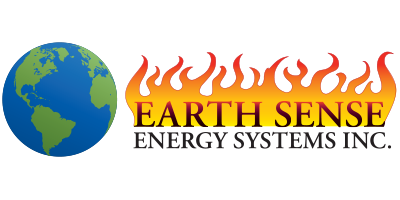 Honor the Earth, an national indigenous environmental organization, has contracted a license to manufacture RREAL’s patented solar thermal air furnaces as part of our 8th Fire initiative to create sustainable local economies. The Ice Age Trail Alliance is a member and volunteer organization with a mission to create, support and protect a thousand-mile footpath tracing Ice Age formations across Wisconsin — the Ice Age National Scenic Trail. Visit with authors Lisa Kivirist and John Ivanko, of Inn Serendipity, completely powered by the sun. Their books – Soil Sisters, Homemade for Sale, Farmstead Chef, ECOpreneuring and Rural Renaissance – will be available for sale, as well as “go solar” decorated sugar cookies, breads and other delicious cottage food products. IronRidge is a solar company that manufactures solar mounting products- the metal structures that support photovoltaic installations. Jamaican jerk chicken, jerk pork, curried chicken, Jamaican roast beef, vegetarian plate, rice and beans, Jamaican fruit punch. We market AMSOIL Synthetic Lubricants which are designed to improve fuel economy, reduce emissions, and extend the life of engines. We display and demonstrate our energy efficient cookware proudly manufactured in our own “Green E” certified facility. We are a design/build engineering firm with over 30 years of renewable energy experience, and creator of Solar Flairs™. The firm’s principal engineer is NABCEP Certified. We are a certified passive house builder and Blow In Blanket System (BIBS) Installer. LeafFilter Gutter Protection is ideal for rain water harvesting because nothing gets through your gutters except water! The Farley Center is an environmental and social justice organization with organic farms and apiary. We work with a wide variety of groups to further our mission. The Natural Path Sanctuary is a natural/green 25 acre cemetery. Living Well Products connects healthy minded people with a filter-less, whole-home air purification device that consumes less than 50 watts of electricity—making it the leader in square footage-to-wattage used ratio. LoTec Windmill Service has been selling, restoring, and servicing water-pumping windmills for 38 years. We can take down, move, rebuild, or erect a windmill you own or purchase from another party. Mad City Windows and Baths is a home improvement company that has been serving the WI areas of Green Bay, Milwaukee, and Madison. We pride ourselves in our energy efficient windows and doors that will substantially lower energy costs! Madison College is a national leader having offered coursework and academic certificates in renewable energy for over 15 years. The college’s Center for Renewable Energy Advanced Technological Education (CREATE) is funded by the National Science Foundation to advance the field of renewable energy by supporting renewable energy education programs nationwide. In Jan 2019, the college commissioned a 1.85 MW photovoltaic system that is the largest rooftop solar system in the State of Wisconsin. We sell three different flavors of fruit juice: Original Lemonade, Strawberry Limade and Orange Mango Juice. We use organic ingredients as market prices allow. Mark Toyota of Plover sells and services New & Used Toyota automobiles and trucks. Join us at the Clean Transportation Show area to see the new 2019 Rav4 & Prius AWD Hybrid models. Mark Toyota is an 18 time Toyota Presidents Award Winning dealer. MidNite Solar is a US based manufacturer of innovative power conversion electronics and balance of system components for the renewable energy industry. We promote renewable energy, energy efficiency, and sustainable living through education and demonstration. Stop by to learn more about our courses, The Energy Fair, and Grow Solar initiatives, purchase merchandise and/or your MREA membership! Offering handcrafted herbal products as well as earth centered herbal education. We grow and wild harvest many of the herbs in our products and are committed to promoting health from the ground up. NamiChips~A family run business, bringing you the tastiest most nutritious”meal in a chip!”We are passionate about environmental sustainability and locally sourced ingredients. Made with love, gratitude and the abundance of the driftless. Also offering Fizzeology Foods; fermented foods sourced from local farms in the Driftless region of southwest Wisconsin. We offer Kimchi, and 4 other varieties of certified organic raw live ferments. 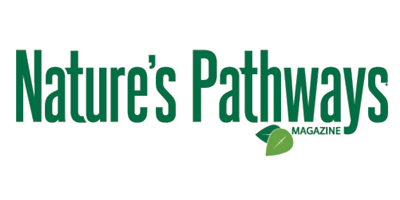 Nature’s Pathways Magazine is a community-based monthly print and online magazine with a circulation of 17,000+ distributed at over 500 locations in Northeast Wisconsin that connects readers to local businesses. We provide relevant information on sustainability, green living, organic, personal wellness, balance and more. 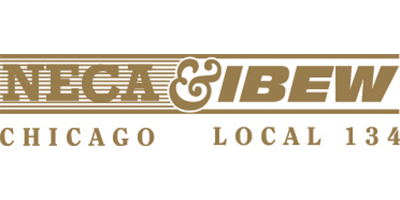 Powering Chicago is made up of International Brotherhood of Electrical Workers (IBEW) Local 134 electricians and the Electrical Contractors’ Association (ECA) of City of Chicago and aims to promote the unionized electrical industry of Chicago and Cook County. 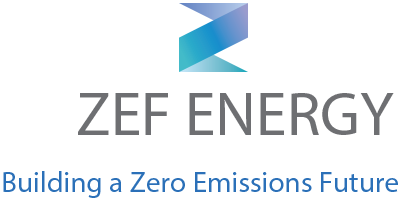 Next Energy Solution (NES) is headquartered in Shell lake, WI and serves the entire Mid-West + spots throughout the USA. We are a fast growing / unique full service company established in 2013 and are well known for our RTI systems. 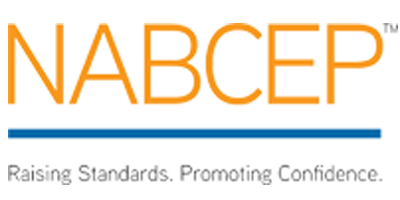 The North American Board of Certified Energy Practitioners (NABCEP) offers entry-level knowledge assessment, professional certification, and company accreditation programs to renewable energy professionals throughout North America. Raising industry standards and promoting consumer confidence, NABCEP is known as the “gold standard” for solar electric (PV) and Solar Heating Installation and PV Technical Sales Certifications. 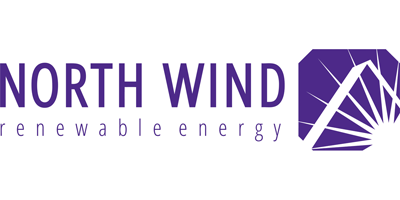 NWRE is central Wisconsin’s most trusted renewable energy solution provider, specializing in the design and installation of solar electric and solar+storage systems. All told, the North Wind team brings over 75 years of in-house experience in design, installation, assessment, project management, consulting and service. We have been selling socially progressive, environmental messages on a variety of products (shirts, stickers, mugs, etc.) since 1979. Often humorous, rarely dull. This will be our 25th and last year at the fair. We will be celebrating with lots of bargains and good deals! Norwex is a company that promotes a more natural way to clean with earth and plant-based products. Anyone can use a cloth and just water to clean 90% of the average home. 7:30 – 11:00 a.m. (Open 7:30 a.m. to presenters, exhibitors, volunteers, sponsors and 9:00 a.m. to the public) Treat yourself to a hearty breakfast of eggs, hash browns, sausage, yogurt, coffee, orange juice, tea, and more. 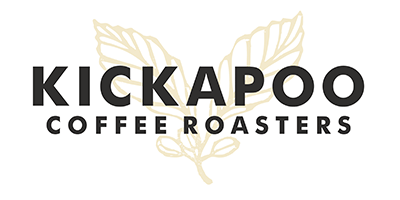 Hosted by Organic Valley with Kickapoo Coffee served and fruit and bagels donated by the Stevens Point Area Co-op, you are sure to leave satiated. This breakfast helps raise funds for the MREA’s educational programs. Cost is $5. The premier designer, developer and seller of off-grid and grid hybrid power electronics and balance of system components, for renewable energy and other power systems. 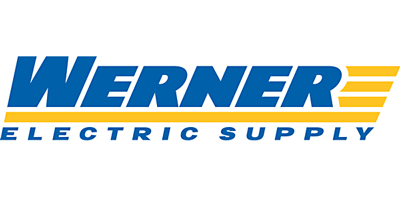 Known for Grid/Hybrid systems and for developing industry-renowned technologies, OutBack Power has decades of pioneering experience perfecting industry-standard innovations including pure-sine wave inverters and maximum power-point tracking (MPPT) charge controllers. We are a full-service solar electrical contractor providing grid-tied, standalone, and a wide variety of solar electric systems in WI. I personally have 38 years of experience in this field. We are also a factory authorized service center for Schneider Electric inverters. As an Organic Farm, we raise high-quality nutritional foods, striving to raise the healthiest food, ensuring our farming practices are safe & sustainable. Our Pastured Chickens & Grass-fed Highland cattle are AWA certified. PRWS was founded 40 years ago and offers an educational experience that instills in children a reverence for nature, a strong sense of community, and an abiding appreciation for the values of service. PRWS serves children in K-8th grade. Primus Wind Power is a manufacturer of small, off-grid wind turbines based out of Denver, CO. The AIR Family of wind turbines has been around for over 25 years with over 160,000 units built in the USA. AIR units are coupled with Solar and typically Morningstar controllers, for Hybrid, off-grid systems in remote applications. Recycling Connections is a 501(c)(3) non-profit based in Stevens Point, WI that connects people, resources, and communities to promote waste reduction, reuse, recycling, and composting through programming and outreach. RENEW Wisconsin is a nonprofit organization that leads and accelerates the transformation of Wisconsin’s renewable energy future through advocacy, education, and collaborative initiatives. We support solar, wind, biomass and biogas, geothermal, hydropower, and electric vehicles. Chosen by Renewable Energy industry professionals and customers worldwide, Rolls premium deep cycle batteries provide dependable, long-lasting energy storage in a wide range of voltage & capacity options for off-grid & backup applications. Roth Sugar Bush is the largest maple equipment dealer in the Midwest. Whether you tap 1 tree in your backyard or 10,000 trees we are here to help with all of your equipment needs. Industry leader for 26+ years, S–5!’s zero-penetration clamps mount almost anything to standing seam metal roofs without violating warranties. S–5! offers the safest engineered products and is the most trusted name in metal construction. Sebesta Apothecary makes high quality, small batch, bath & body products in Minneapolis. All items are made with natural ingredients, are eco-friendly and wholesome with minimal packaging, that is reusable, recyclable or bio-degradable. The Sierra Club is an advocacy organization that supports environmental stewardship, renewable energy, and energy efficiency. Our booth will contain educational materials about energy and other environmental issues in WI. Our patent pending technology uses wood gasification technology allowing Indiglow stove to become your dream wood stove. By using wood gasification principles we create a stove that can be used for many purposes. We created a modular attachment system which allows easily replaceable attachments that allow you to create the optimum stove for your use. Sol–Ark is a Veteran owned engineering company with the mission of helping families be less dependent on our Power Grid in an affordable way. We build the worlds most efficient inverter which is DIY friendly, cutting costs 40-60%. Established in 1969, Solar Biz is a full service renewable energy equipment distributor. Our services include, training, engineering and lifetime tech-support. With warehouses in: Jefferson, Wisconsin – Glenwood, New Mexico and Panama. Solar Water Works provides solar water purification at any location. A photocatalyst destroys all common contaminants in a self-contained system which run entirely on Solar Energy. The DC system works well with off-grid PV. Solid Rock Masonry designs and crafts all types of masonry heaters and ovens. 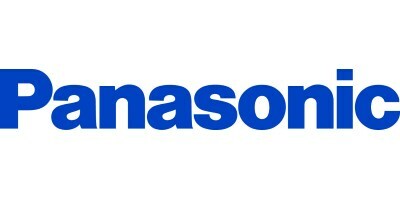 We teach classes on masonry heater and oven building, and we sell DIY masonry heater and oven kits and doors. Speed Solar Inc was started by a small team of people that want to accelerate the use of alternative energy, specifically solar, to replace fossil fuels. Our goal is to expand the installation of solar energy systems by providing fast access to quality solar components. Sustainable Heating provides full installation and service of solid fuel and solar heating systems across Wisconsin. Sustainable Heating proudly features efficient, clean cordwood and Biomass heating systems from HeatmasterSS and others. TechniArt Inc. hosts pop-up retail programs across the state of WI, sponsored by Focus on Energy. We sell LED light bulbs to residential customers far below average retail pricing. Students will be prepared to become stewards of the earth, graduating with the skills to create and change the world around them. TRCCS is working out of the Core Principles of Public Waldorf Education and Environmental education and offers a collaborative and non-competitive learning environment that integrates the arts and offers hands-on experiences. Schooling on-site is available for Prekindergarten through 6th grade and is also open to students around the state of Wisconsin through the Virtual program for students in grades Prekindergarten through 8th grade. Ultimate Outdoor Furnace sells the Polar, Portage, and Main brands of bio-mass heating furnaces, some of which already meet the EPA 2020 emissions standards. Supply all your heating needs with with renewable energy from your own land. UW–Stevens Point highlights their Ed.D. in Educational Sustainability, an online degree program for professionals interested in transforming systems of teaching, learning, and leadership in interdisciplinary field of sustainability. The UW-Madison Master’s in Resource and Energy Demand Analysis (REDA) provides graduate training in economics and data analytics for a smart, green world. The one year professional Master’s program focuses on energy analysis and resource management. With our roots in the heart of the state, the University of Wisconsin-Stevens Point launches students on meaningful life journeys through transformational learning in the arts and sciences. Visit www.uwsp.edu for details. Veterans For Peace is a nonprofit educational veterans organization whose purpose is to demilitarize the United States and expose the true costs of war. Wild Ones is a national non-profit organization that promotes environmentally sound landscaping practices to preserve biodiversity through the preservation, restoration, and establishment of native plant communities. The Department of Natural Resources manages state and public lands, as well as the fish and wildlife that inhabit them. People interested in sustainable, local foods, who never learned to fish or hunt, should stop by our exhibit. Wisconsin Farmers Union is a member-driven organization committed to enhancing the quality of life for family farmers, rural communities, and consumers through education, cooperation, and civic engagement. WFU’s Kamp Kenwood, on the shores of Lake Wissota near Chippewa Falls, offers summer camps focused on cooperation, leadership, civic engagement, and sustainability. We hold legislators accountable to their votes, and engage in voter education, lobbying, and issue advocacy. We also recruit, issue endorsements, and actively work for the election of candidates committed to strong conservation policies. Wisconsin Network for Peace, Justice, and Sustainability promotes a sustainable world free from violence and injustice by connecting, engaging, and strengthening member groups and serving as a catalyst for community organizing and education. Youth Initiative High School provides a holistic Waldorf-inspired education for grades 9-12. We offer an academically rigorous, developmentally appropriate curriculum infused and balanced with the arts.